Once the standing water has been removed, moisture will still exist in areas such as fiberglass insulation, drywall, carpeting, and within structural wood. Call us for a free water removal quote today! We serve Van Nuys, Woodland Hills, Westlake Village, Sherman Oaks, Canoga Park, and many nearby areas, including Encino, Calabasas, Newbury Park, Pacoima, Granada Hills, Northridge, North Hills, and other parts of California. 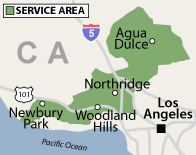 Our service area includes Woodland Hills, Westlake Village, Sherman Oaks, Canoga Park, Van Nuys, and many nearby areas, including Calabasas, Newbury Park, Pacoima, Granada Hills, Northridge, North Hills, Encino, and the surrounding regions.